There’s nothing more magical than the start of the fall season in Sacramento! The air grows cool and crisp, brilliant colors come to life, and leaves are always crackling underfoot. Not to mention, the greater Sacramento area offers a wide array of recreational activities and events that pay tribute to this beautiful season. High Hill Ranch: This popular location has a wide array of activities including a crafts fair, fishing, pony and hay rides, apple bar, bake shop and much more! Rainbow Orchards: This location is home to world famous hot apple cider donuts! North Canyon Cider Co: As their name suggests, this location is known for its award-winning hard cider! Fudge Factory Farm: Any chocolate lovers out there? Choose from an impressive selection of handmade fudge, and 15+ types of candy coated apples, homemade jams, fresh baked pies and more! Ponderosa Ridge Bed and Breakfast: Wake up to beautiful views and three acres of apples that only guests can pick! 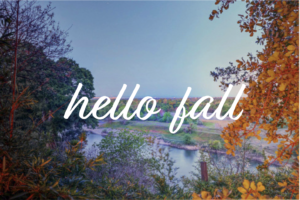 Do you have any Sacramento fall traditions of your own? Let us know in the comments section below!